Enjoy a piece of Augsburg history in your home! Institutional Advancement is hosting an auction for classic Augsburg A presidential dinnerware sets on eBay. All proceeds from this charity auction will go to the Sesquicentennial Scholarship. This scholarship will help eliminate financial barriers and launch the next generation of leaders at Augsburg. 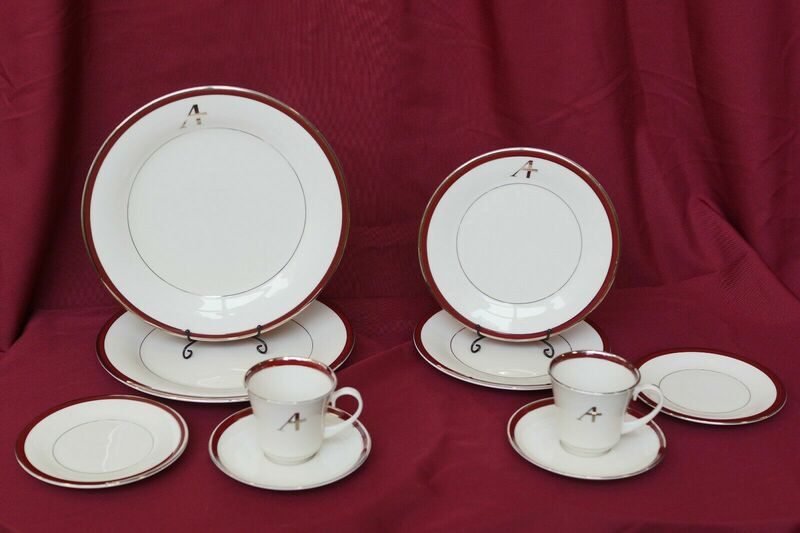 This elegant china was once used for dinner parties and events hosted by the president at the Augsburg House – it has since been retired due to our name-change and rebranding, which changed the look of the “A” icon that appears on most of the dinnerware. Each item has been professionally packaged and can be shipped or picked up from campus once the auction ends at midnight on March 1. Please contact Hannah Walsh if you have any questions at walsh@augsburg.edu or 612-330-1098. Joining us at Advent Vespers this year? We are looking for as many as 20 volunteers for each Vespers service to help usher and work at the will-call table. Central Lutheran Church has recently added a beautiful addition to their building and there is a need for extra hands this year to help direct attendees. Friday, November 30 at 5 & 8 p.m.
Saturday, December 1 at 2 & 5 p.m. Volunteers should plan to arrive at Central Lutheran Church in downtown Minneapolis (333 S. 12th St.) 60-90 minutes prior to each service. The service lasts approximately 90 minutes. Please contact Kia Burton (burton@augsburg.edu, 612-330-1329) if you are able to volunteer. 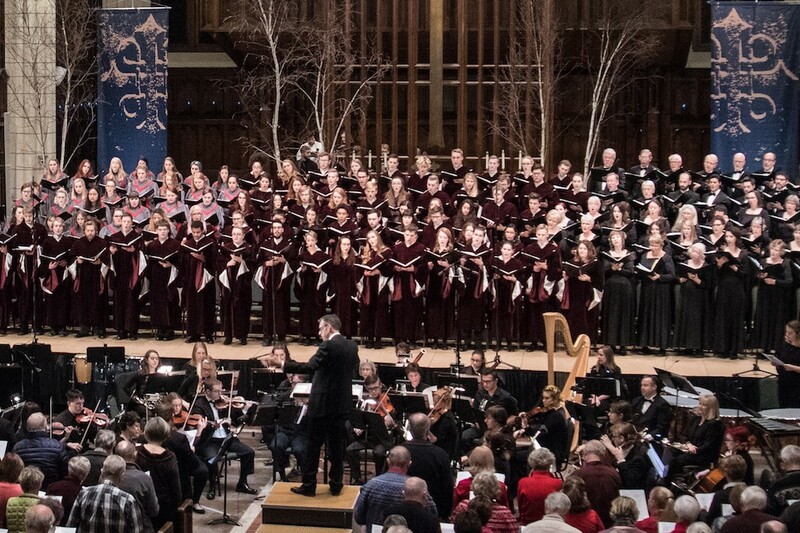 For more than three decades, Augsburg University has ushered in the Advent and Christmas seasons with Advent Vespers, a magnificent experience of music and liturgy, focusing on the theme of preparation and culminating in the joyful celebration of the Incarnation. Advent Vespers is set in downtown Minneapolis in the majestic sanctuary of Central Lutheran Church, soaring 65 feet high with large stained-glass windows. David J. Melby ’68, Ph.D., is a psychologist, executive leader, professional volunteer, and advocate who embodies faithful service in true Augsburg University form. Melby attended Augsburg, graduating in 1968 with a Bachelor of Arts in psychology and philosophy. 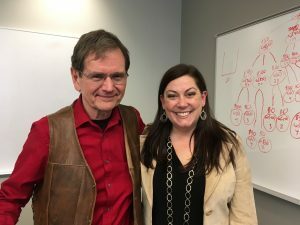 Following his graduation, Melby attended graduate school in counseling psychology at Southern Illinois University-Carbondale, receiving both MA and Ph.D. degrees. Melby’s career centered around providing and promoting the development of outpatient community mental health, substance abuse, and developmental disabilities services for people of all ages, as well as adult residential services. In 1974, he joined Mental Health Services of Franklin and Williamson Counties, Inc. (now known as Centerstone of Illinois) as a clinical psychologist. His role expanded the following year to include that of division director of mental health services; he served as CEO of that agency from 1996 until his retirement in 2006. Prior to his retirement, Melby served six years on the board and one year as president of the Illinois Association of Community Mental Health Agencies. For almost two decades, David has served as a volunteer for the American Heart Association (AHA). He twice served as chairperson of the Southern Illinois Heart Walk and once of a Southern Illinois Heart Gala, raising awareness regarding heart-healthy lifestyles and fundraising for heart research, education and life-saving equipment, such as Automated External Defibrillators in public places. He currently serves as a member of the Illinois Advocacy Committee of the AHA, advocating for a heart-healthy state and federal legislation. Throughout his career, Melby has been influenced by his father’s ministry and involvement in clinical pastoral counseling and the death of his infant brother, who was born with a heart defect and Down Syndrome. He was also motivated by the growing needs of his parents in their last years. He has consistently demonstrated his concern for people marginalized in society, often the poorest, sickest, and most stigmatized among us. In retirement, David has become more involved in the work of not-for-profit and governmental agencies whose missions he supports. They include multiple terms on the Williamson County Housing Authority Board of Commissioners, including as chairperson, and on the River to River Residential Communities Board, providing independent living, assisted living, supported living, and memory care services for seniors in multiple communities across southern Illinois. 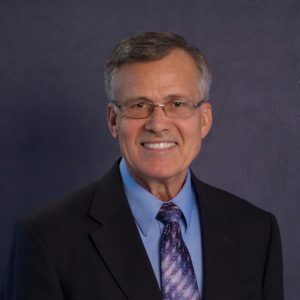 He has served since 2012 on the Board of Directors of Centerstone of Illinois, one of five Centerstone state service entities that, collectively, comprise one of the largest and most influential not-for-profit behavioral healthcare enterprises in the nation. Since 2014, David has also served as a board member and, now, current board chair of the Centerstone Research Institute (CRI), based in Nashville. CRI is currently developing evidence-based best practices for addressing the national opioid crisis, developing its first Center of Excellence for the treatment of depression, and reducing the “science-to-service cycle” in the treatment of behavioral health disorders. Melby exemplifies servant leadership and the Augsburg value of being educated to serve. For decades, he has served his church community in many capacities, including as president of the church council for over 10 years, co-chair of the building committee during construction of a new sanctuary, and delegate to the 2013 ELCA churchwide assembly. Whether through his contributions to the field of behavioral health care or his volunteerism, David has worked tirelessly to serve his community and embodies the values we work to instill in Auggies. In his life as a thoughtful steward and responsible leader, he has used his skills and gifts to impact communities and create healthier, more fulfilling lives for all. Grace Kemmer Sulerud ’58 has displayed faithful service to Augsburg University across her time as a graduate, librarian, faculty member, and alumna. She personifies Augsburg’s deep sense of calling to humbly serve others in a variety of ways, with joyful dedication. Determined to gain a full education, Sulerud worked and saved money to go from her hometown, Williston, North Dakota, to Augsburg, as it was the college of the Lutheran Free Church. Sulerud’s Augsburg education and excellent professors prompted her to experience life in the Twin Cities, exploring the state capitol and fine arts like symphony concerts and plays. She made lifelong friends and enjoyed being on the staff of the student newspaper, The Echo. After graduating from Augsburg in 1958, she was an elementary librarian and junior high English teacher in Grand Rapids, Minnesota. From 1961 to 1964, she was an elementary librarian in U.S. Air Force Department of Defense Schools in Tokyo, Japan; Tripoli, Libya; and Wiesbaden, Germany. This gave her an opportunity to travel around the world with a stop in India to visit a friend, Maxine Berntsen, another distinguished alumna of Augsburg. 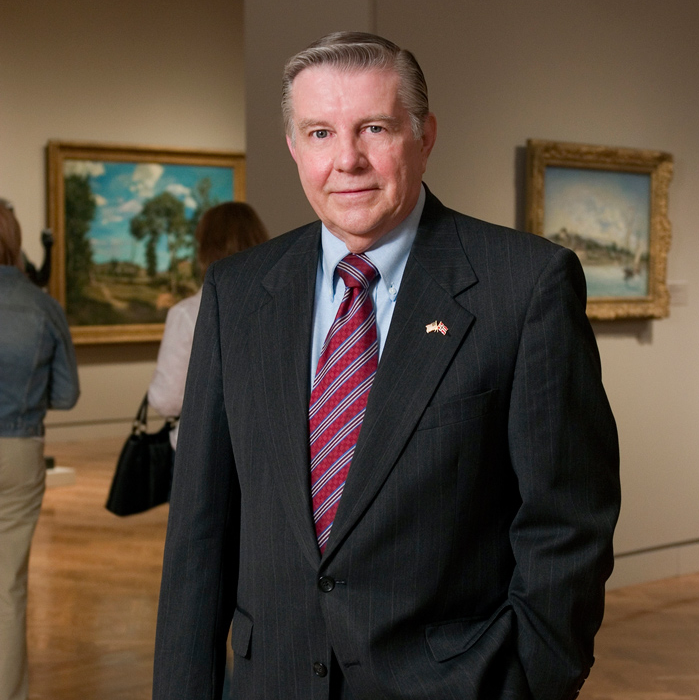 After returning to the United States, Sulerud studied for a master’s degree in Library Science (1968) and later received a master’s degree in English (1970), each from the University of Minnesota. During her many years as Augsburg’s Collection Development Librarian and faculty member, she was committed to the learning of students. She served two terms as the treasurer of Augsburg Associates, from 2003 to 2007 and 2011 to 2017, ensuring they raised funds for Augsburg student scholarships. Her interests and energy lead her to participate in travels to Cuba with the Delegation For Friendship Among Women, and to Ethiopia supporting the efforts of REAL, Resources for the Enrichment of African Lives, an organization that helps girls stay in school. In Minneapolis, Sulerud is a member of Trinity Lutheran Congregation located on Riverside Avenue, a congregation associated with the founding of Augsburg, where she sings in the choir, leads the monthly quilter’s work session and has participated in activities with Metropolitan Interfaith Council on Affordable Housing. 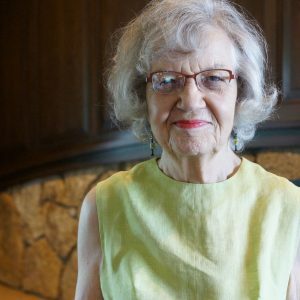 With her late husband Ralph, long-time Augsburg biology professor, Sulerud has remained a supporter and enthusiast for all things Augsburg. Though she retired from Augsburg in 2003, she continues to stay involved at important university events: the recent grand opening of the Hagfors Center for Science, Business, and Religion; Homecoming festivities; Velkommen Jul; and Advent Vespers. Sulerud lives out the Spirit of Augsburg Award and exemplifies Augsburg’s historic mottos consistently: “Education for Service” and “The Truth Shall Make You Free.” Her loyalty, dependability, and generosity enable Augsburg to carry forward with hearty conviction, intellectual rigor, and relational connectedness. By following his family’s values of faith, dedication to building community, and applied philanthropy, Orville “Joe” Hognander has improved the lives of many. Joe has deep Augsburg roots that extend back over 100 years to when his grandfather, Rev. Lars R. Lund, graduated from Augsburg Seminary in 1912. Later it would be at Augsburg where his parents first met during their freshman registration for the class of 1936. During their Augsburg years, Gertrude Lund and Orville Hognander shared their love of choral music through the newly created Augsburg Choir, where Orville became the first announcer and business manager and Gertrude was the piano accompanist. Of note, Orville created a weekly radio show on WCCO called the Hour Melodious, which featured the choir with Orville providing the spoken word. He also arranged the choir’s first tour of 20 concerts throughout the Midwest. Fellow Augsburg classmates remained lifelong friends of the Hognander family. Leland Sateren ’35 was best man at Orville and Gertrude’s wedding and went on to become a prolific composer, director of the Augsburg Choir, and chairman of the music department. Likewise, Oscar Anderson ’36, became Augsburg’s president from 1963 to 1980. It was during his tenure that Gertrude received Augsburg’s Distinguished Alumni Award in 1973. 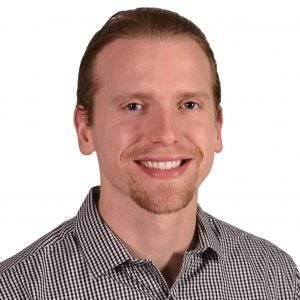 After graduating from high school, Joe Hognander left the Twin Cities for college, graduate school, and work. While employed by Black & Decker in Dallas, Texas, he received notification from his draft board that he would soon be called, so he immediately applied for Naval Officer Candidate School and was accepted. While on active duty, he had varied and challenging assignments including one as head of the translation division for the U.S. military command located in Saigon during the period just prior to the withdrawal of all military forces from Vietnam. Following retirement from the Navy, Joe returned to the Twin Cities, where he cared for his parents during their final years. Part of this assistance involved helping his parents fulfill their philanthropic interests, which included support of institutions and organizations that had been significant in their lives. The Orville and Gertrude Hognander Endowment for music students was a direct outcome of this. Today Joe conscientiously carries on the family tradition of support for work in the arts, sciences, music, charity, and education. As one person noted, “He has the heart of a philanthropist and the head of a businessman.” Scores of organizations doing good work have had their public service magnified because he approaches needs in the community with an Auggie spirit of responsible leadership and stewardship. 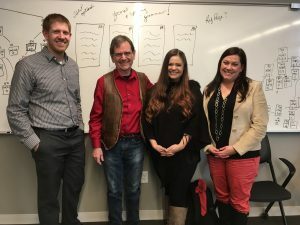 The Young Alumni Council was formed to specifically represent the interests of young alumni in service of Augsburg University’s mission and goals. Each council member helps connect and engage young alumni by planning and executing networking, fundraising, social, and volunteer events and programs. Click here for more information about requirements and qualifications. As part of a new weekly series, we will be profiling members of the Augsburg Young Alumni Council (or YAC). This week, we spoke to Evan Decker ’12, ’18 MBA, who is currently the YAC President. Evan Decker ’12, ’18 MBA. Time spent as a YAC council member? What made you want to be a part of the YAC? I wanted to give back to the University, network, and develop my leadership skills. The council has provided many opportunities in all of these areas. What is your favorite YAC memory or event? Picking just one is hard. If I had to, I’d say my favorite event each year is the networking event. It’s not necessarily a YAC event but YAC is heavily involved, and I enjoy the opportunity to network with students and other alumni. Favorite memory from studying at Augsburg? It’s also difficult to choose one. I really enjoyed living in Mort – nothing like living on the same floor/in the same building as all your friends. Why should other young alumni join the YAC? Why not? I feel like for the amount of time and energy I put into it I get much more in return. It’s an amazing opportunity to practice skills that are applicable in many other areas of life while hanging out with cool people. The networking opportunities are endless, and we get to plan and attend fun events! Interesting random fact about you? I had a pet tarantula growing up. She only managed to escape her cage once! Are you interested in learning more about the Young Alumni Council? Visit http://www.augsburg.edu/alumni/leadershipboards/yac/ for information on applications and eligibility. Honor a graduate with the Tassel Challenge! 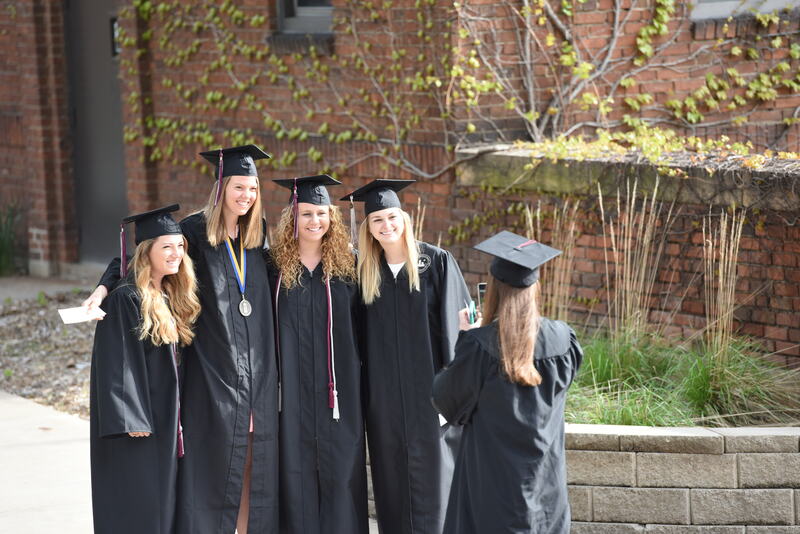 It’ graduation weekend at Augsburg University, and we are excited to celebrate the hard work of our 2018 graduates! Augsburg is in the midst of our Tassel Challenge, our way of honoring this year’s graduates and supporting future Augsburg students. The Tassel Challenge is an online giving event, with all donations supporting the Sesquicentennial Scholarship fund. We have reached our goal of $10,000 and we are excited to see how much we can surpass our goal by with donations from generous Auggies! 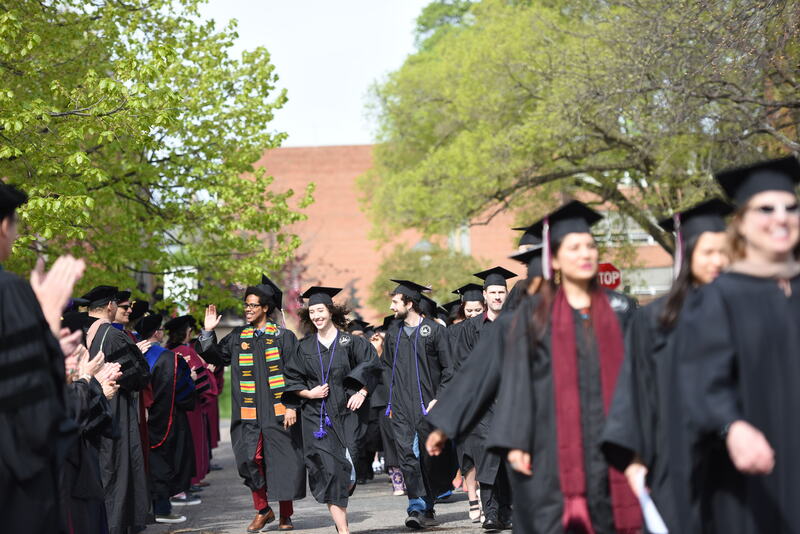 The Tassel Challenge is a great way to recognize your favorite graduating Auggie, give back to Augsburg, and help make sure an Augsburg education is accessible to all. If you choose to donate in honor of a student, we will make sure they know they were recognized, and send you and the student an Augsburg tassel keychain as thanks. More information can be found and donations made on the Tassel Challenge Donation page. The Tassel Challenge will run through May 2nd. If you have any questions please contact Chris Bogen at bogen@augsburg.edu. 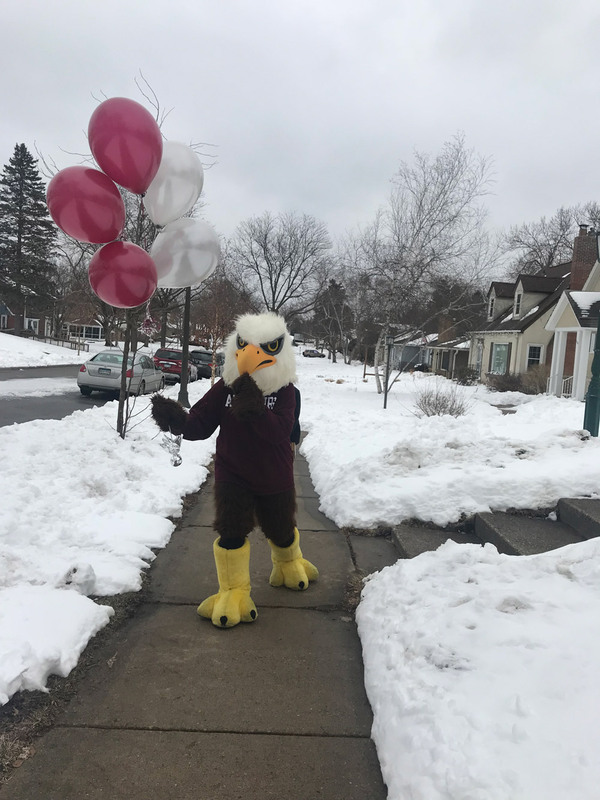 As part of National Volunteer Week, the Augsburg Alumni Office decided to surprise some Auggie volunteer organization leaders with treats and balloons to show them how much we appreciate them! Click here to watch us surprise Evan Decker, the President of the Young Alumni Council. Click here to watch us surprise Butch Raymond, the A-Club President. Click here to watch us surprise Nick Rathmann, the President of the Alumni Board. Click here to watch us surprise the Augsburg Associates. Click here to watch us surprise Cindy Piper, volunteer for the StepUP Board. Augsburg is excited to announce our Tassel Challenge fundraising campaign. This online giving event is an opportunity to celebrate all of Augsburg’s 2018 graduates, and help support future Auggies by donating to the Sesquicentennial Scholarship fund. A donor has generously offered to match any donation dollar for dollar, up to $10,000. Our goal is to fully utilize that matching gift and raise $10,000 for student scholarships! More information can be found and donations made on the Tassel Challenge Donation page. The Tassel Challenge will run from today through May 2nd. If you have any questions please contact bogen@augsburg.edu. 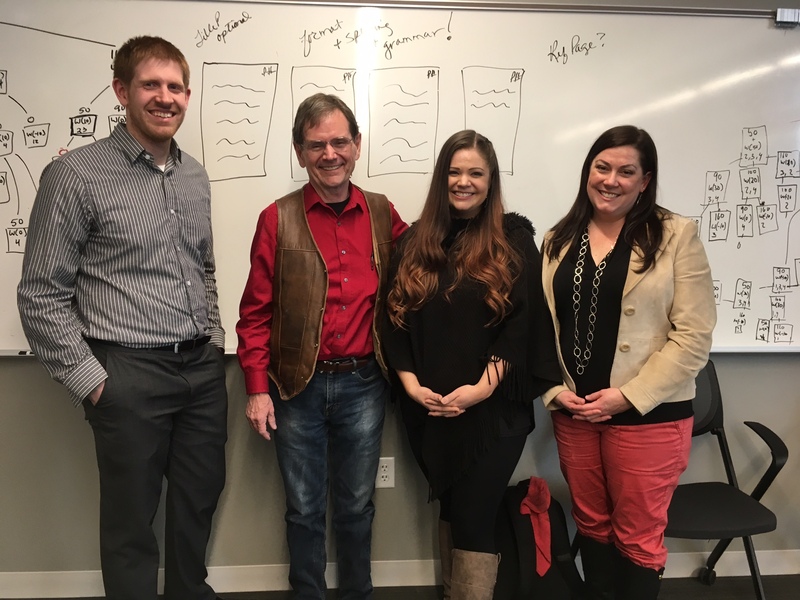 One of the two presentations led by Fishbowl Solutions reps on April 5 (from left: Jake Ferm, Carmen Williams, Noah Bodner, and Amy Bowar Mellinger). Fishbowl Solutions, a Twin Cities-based software company, creates packaged software and develops custom technology solutions using the latest Oracle, Google, Mindbreeze, and PTC technologies. The company of 40+ employees, founded in 1999, has offices in both the U.S. and the U.K., and serves an international clientele. The Fishbowl reps, invited to visit two sections of Crockett’s CSC/PHI 385 class (Formal Logic and Theory of Computation), included Noah Bodner (Recruiting), and three Auggies: Amy Bowar Mellinger ’97 (Fishbowl’s Director of Services), Jake Ferm ’12 (Software Consultant), and Carmen (Crockett) Williams MBA ’12 (Account Executive, Sales). After the Fishbowl guests described the nature of their company and work, as well as their take on various current trends in technology, students raised numerous questions. The resulting interaction provided good advice on many issues, such as these comments on interviewing from Williams: (1) Prepare wisely for an interview (always plan on a glitch; arrive ten minutes early); (2) Think ahead about what questions to ask the interviewer (remember, you’re interviewing the company as much as they’re interviewing you); and (3) Ask what further education and training the prospective employer is willing to provide. Mellinger stressed the importance of keeping an open mind when deciding on an employer, giving attention to the importance of matching one’s work-style with the anticipated projects. For example, she recalled working on one seven-year project at an earlier job, which, she said, may not have been as appealing to someone who enjoys working on a variety of projects or technologies. Fishbowl reps emphasized how valuable a liberal arts education is in their work, since the broad scope of the classes they took continues to provide flexibility and greater opportunity in their work, and in the marketplace in general. Mellinger, who worked for many years as a consultant prior to taking on her leadership role at Fishbowl Solutions, was surprised to discover recently that her colleague at Fishbowl, Williams, is the daughter of Crockett, who had taught two of her classes at Augsburg. 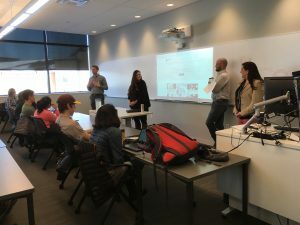 In the April 5 forum, about 50 students had a chance to interact with former students to compare and contrast pre-graduation education with in-field work experience, and to consider how one’s education must continue in the workplace. Ferm stressed that, especially as a software consultant, he is learning new things daily—online and in person—as he encounters new challenges that push him to continue educating himself. And when new interns come on board, they learn from the staff’s collective experience, and staff pick up new things from the interns. Nothing like a win-win situation! The April 5 event was also an opportunity for three Auggie alums to take in the new Hagfors CSBR facility; they left deeply impressed.